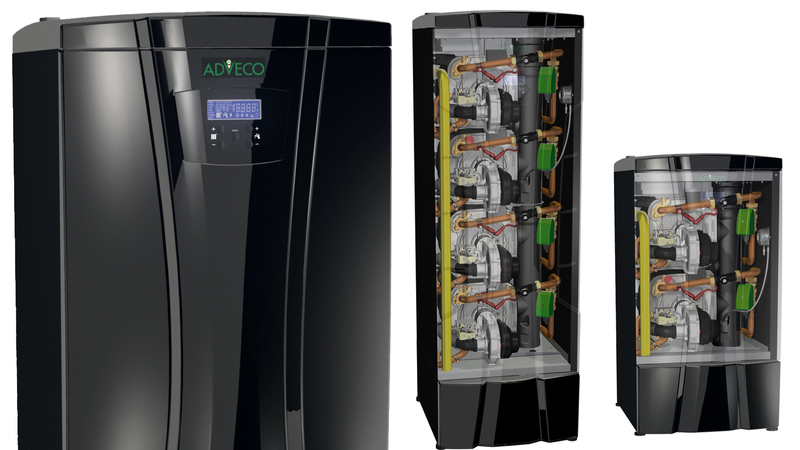 Commercial hot water and heating specialist, Adveco’s new MD Boiler range has been named as a finalist in the commercial HVAC product of the year category of the 2019 Heating & Ventilation News Awards. A range of high-efficiency condensing gas boilers, MDs provide consistent, very efficient and low emission heating for business-critical commercial projects and have been recognised for the innovation, differentiation in the market and the efforts made to address both environmental and safety concerns. The MD’s patented design and combination of pre-mix burner and highly efficient load balanced heat exchanger gives the advantage of low water content heat engines and inbuilt redundancy without the need for expensive framework to convert wall hung boilers to floor standing. Both compact and lightweight, MD enables installation in a variety of configurations to make the most of available, often minimal plant room floor space, yet still provides for a wide range of commercial heating applications. As well as ticking the boxes for safety and sustainability, the low emission levels mean that a heating system built around MD high-efficiency condensing boiler satisfies the requirements of the Energy-related Products (ErP) directive.